I know this post title is kinda confusing, because I sound like I am getting married and these are what my bridesmaid wearing at the wedding. But actually, I was the bridesmaid and this is what I wear at the wedding! 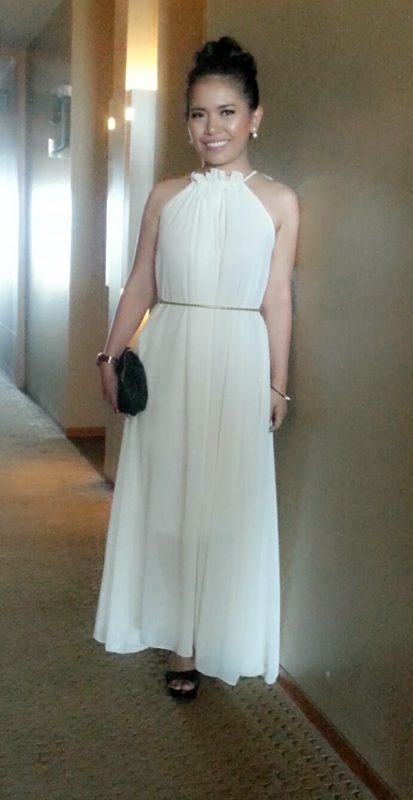 Anyway, I promised you guys that I will show you the dresses that I wore for the wedding and here they are! Make up by me, and too bad I didn't have a close up photo of it...grrrr! I wore this at the church ceremony, and I really love this dress. It is very pretty and elegant, and the most important thing is, this dress has the perfect length for my petite body. At first I planned to wear my friend's dress, but after I knew the dress is very long and need cutting and everything, I decided to go the Ambassador Mall. And after 2 hours of hopeless search, I found this dress! The price is IDR 200,00 which is very reasonable. 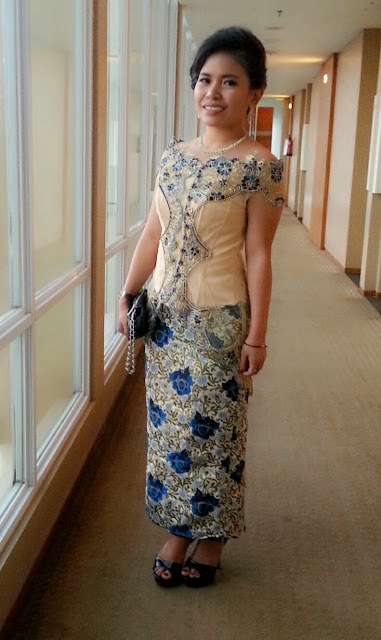 This Kebaya was made by my lovely mom and I think it's very gorgeous and I like it very much. I didn't see this dress or even fitting it until 1 night before the wedding. So actually what happened was, I already went to tailor to make dress, and the result was very unsatisfying, at least for the style, because the size is actually very perfect. so my mom asked me to send her the failed kebaya to her, and based on the measurement of it, my mom made a new kebaya! So yea, thanks to my mom, she practically saved my day! Late Halloween Make Up: Wolfie!